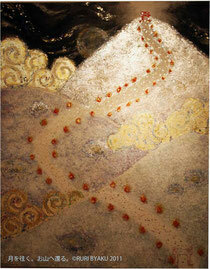 This story is one of Japanese ancient religions. 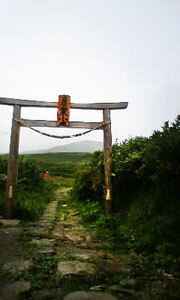 We Japanese return to the mountain after death and then become a god. We call these spacial mountains `REIZAN`(Holy mountain). Drawing with natural water of Gassan,Crystal,Rose Quartz and Silver leaf. Are you interested in this picture? Please contact me.